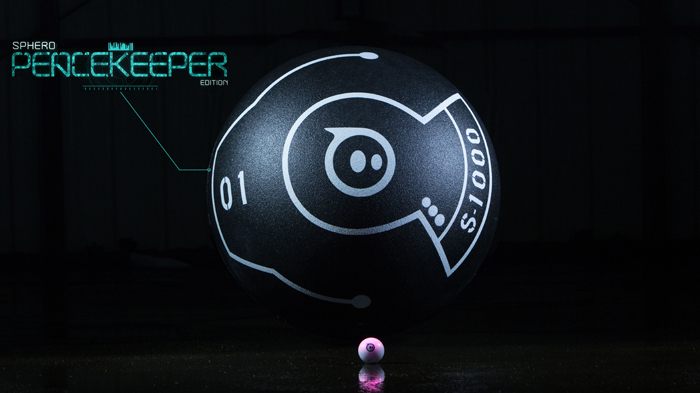 From the inventors of Sphero, that ball you control with your phone, now comes the Sphero Peacekeeper Edition! 25000 times larger than the original Sphero, this 150 pound goliath can be yours for the very 'manageable' $10,000 pledge on Indiegogo. 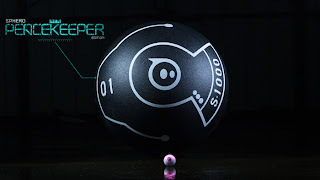 It can crush almost anything in it's path but all the original Sphero games can be played using the Peacekeeper. It is 3 feet in diameter, yet it can roll faster than most humans can run. If you buy now, the Peacekeeper could be yours as soon as August. Watch their promotional video for more information. Does the world need a $10,000 robotic ball? Absolutely! Happy April Fools' from Orbotix!